The parents of the victims of the shooting at Marjory Stoneman Douglas have filed a lawsuit against a gun manufacturer. NBC 6 Reporter Steve Litz has the story. "If you go back to 2003, the year that my daughter was born, Smith and Wesson didn’t even manufacturer an AR-15," said Fred Guttenberg. "If you look over the years since at the incredibly steep rise in the manufacturing of those weapons, they knew - they had to know that by putting all of those weapons on the streets that innocent people like my kid are going to die." 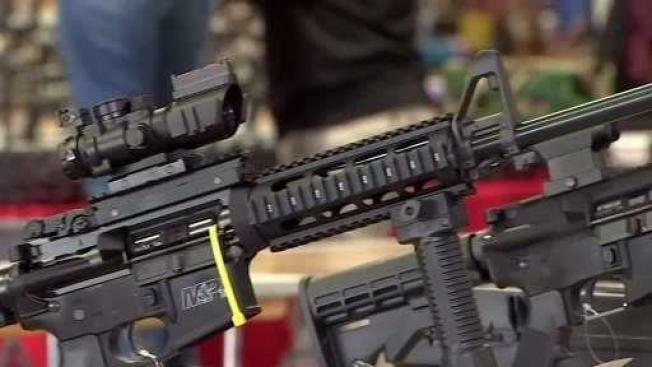 The lawsuit also calls into question a 2001 Florida law that prohibits state and local governments from suing gun manufacturers if their products are used in unlawful ways. The law doesn't mention lawsuits by victims or their families. “The purpose of this suit is to prevent the Guttenberg and Schachter families from suffering financial ruin due to a provision in the state statute that seems to threaten that," said attorney Stephen Rosenthal. "This is the only industry where there is a protected class," said Guttenberg. "We're going to change history and break that protection - enough is enough." "Every minute of everyday, I think about my daughter running through the school with an AR-15 to her back," Guttenberg said. "Did she die quickly? Did she suffer? That's my burden. Everything else to follow is now my obligation - to make sure I don't stand by and do nothing."